Description Scanned as B & W; mounted on torn cardboard (scrapbook page? 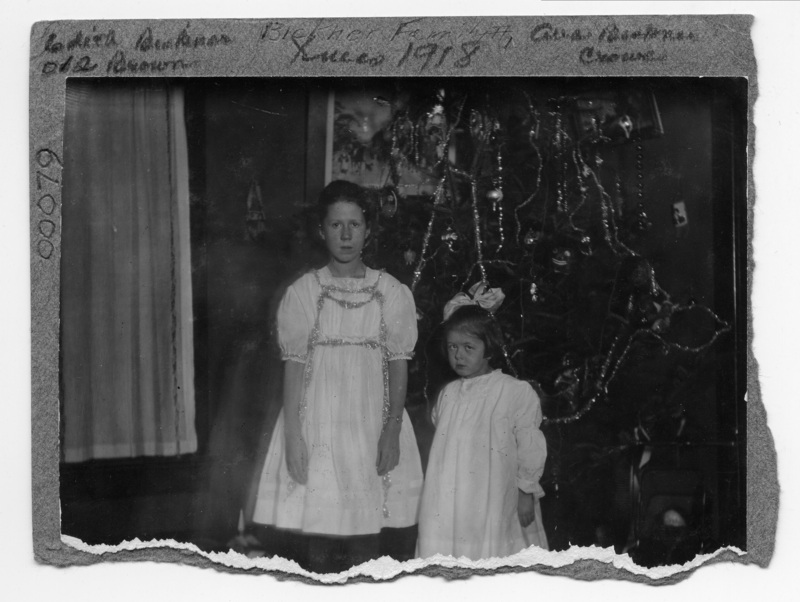 ); photograph 78 mounted on back; bottom edge of photograph torn. Written on mounting paper: Bickner Family; Xmas 1918; Edith Bickner Brown; Ava Bickner Crowe. 00079. 012. Physical Description H 3 3/4" x L 5"